Spring is in the air. 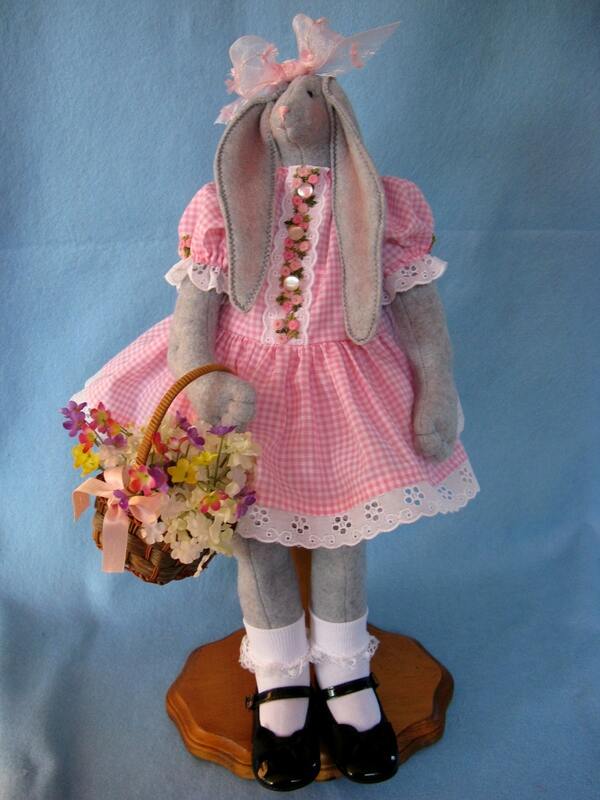 April is a wonderful 19" soft doll bunny all dressed up for the Easter parade. 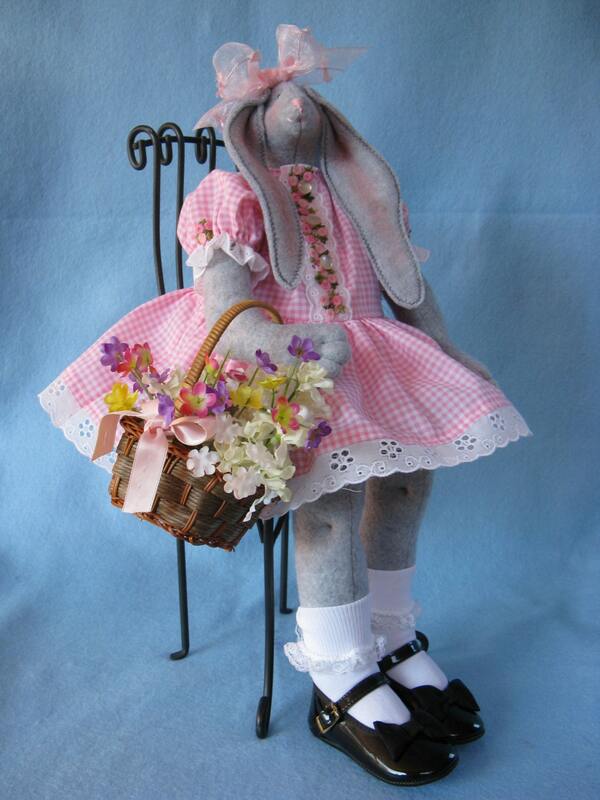 She is designed to wear children's shoes and is fully dressed, right down to bloomers and socks. 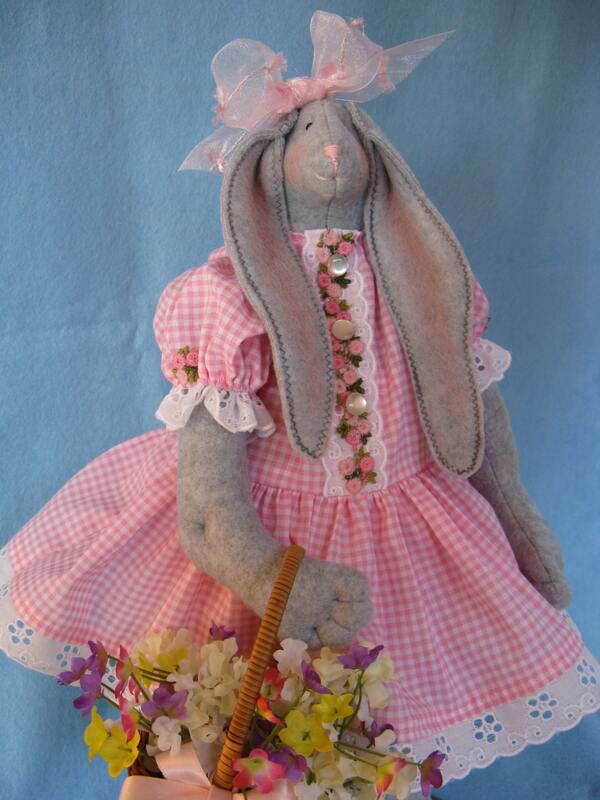 The PDF instant download includes easy to follow instructions, complete doll body and clothing patterns, and a suggested materials list. Easily downloaded pattern from a talentd artist.